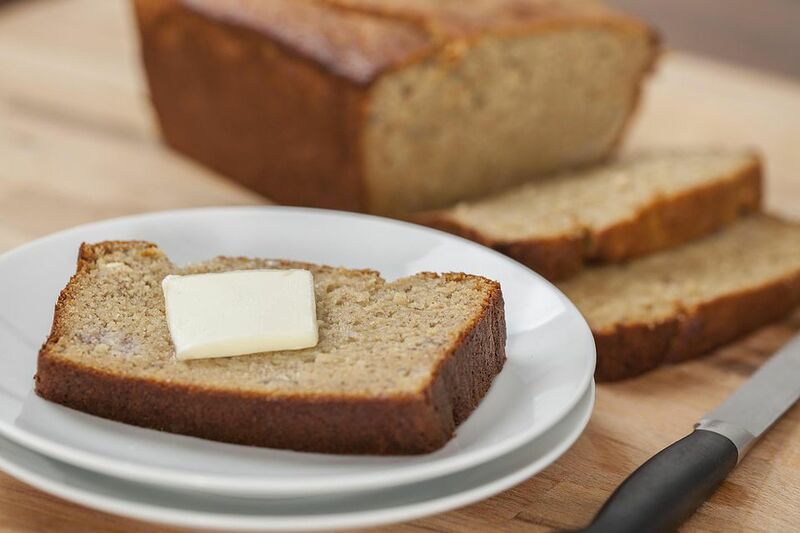 Although this is a slow cooker recipe, there isn't that much cooking time added to making this loaf of banana bread. This delicious recipe is perfect if you don't have access to an oven, it's too hot, or for whatever reasons you would rather use a Crockpot. Turn crockpot on high.Grease and flour manufacturer's insert or 2-pound container. Mix flour, baking soda and salt in medium bowl. Add nuts and set aside. In another bowl, cream butter with sugar. Add eggs, one at a time. Add milk and vanilla. Mix completely. Stir in bananas until well mixed. Gradually add flour mixture. Stir until just combined. *Place insert into crockpot. Carefully add batter. Cover. Put lid on crockpot and bake for 2 to 3 hours or until done. Be sure not to check on bread until it's cooked at least 2 hours. *If using other metal container, either place a rack or crumpled aluminum foil at bottom of crockpot. Place container on top. After adding batter, top container with several paper towels. Make sure crockpot lid is loose and bake for regular amount of time.